Breastfeeding is one of the best parts of this new chapter of life with Nico. There are so many things that go into having a baby, giving birth to a baby and recovering from having a baby. 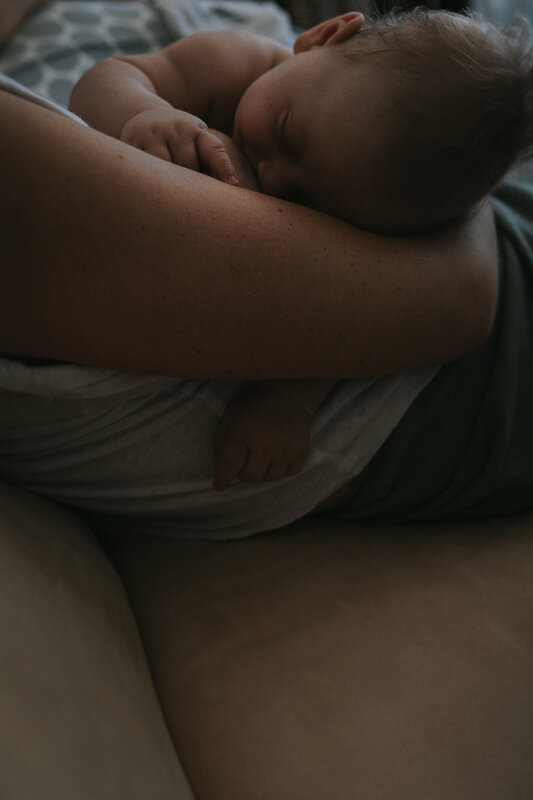 For me, breastfeeding was an instant comfort, and gave me stamina, and empowered me as a mother. After the trials and triumphs of pregnancy and birth, it’s one of those little kisses from heaven, I like to say. Having the time to just sit and do nothing but feed your baby and look at him, watch him eat, cuddle with him or take a little nap with him all quickly become a great joy. Learning how to breastfeed is the hard part. It took a while for me to learn how to properly latch Nico, burp him, hold him and how to make sure he ate enough. I am really grateful I had some awesome lactation consultants at Cedar Sinai hospital, where I gave birth. Even on day one, Jessica, my lactation consultant, visited me regularly and walked me through the ins and outs of properly feeding my baby. Something I’ve learned as a new mom is to ask for help. I used to be one of those people who tried to muscle through everything on my own, never asking others to alleviate my burdens. Now that I’m a mom, I literally have to ask for help! Breastfeeding was a totally new experience for me, and quickly saw I’d need to seek help from others. Using lactation consultants is an absolute must! Even after I was discharged from the hospital, I still needed a bit of help, and thankfully was referred to the Pump Station in Santa Monica. 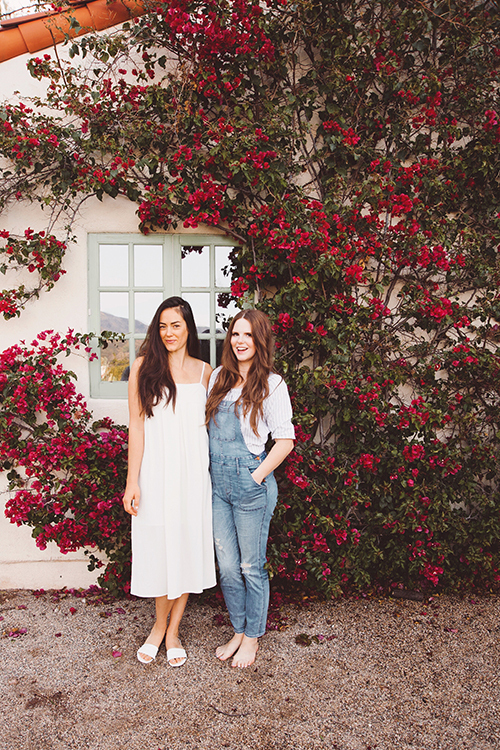 There I was coached by Jessica (yes, same name as my first lactation consultant), and she truly empowered me in my capabilities as a breastfeeding mother. Jessica really helped me feel like successfully breast-feeding Nico during his first year (and hopefully second year) is something natural and attainable. I saw the results of breastfeeding not only with Nico’s body, but my own. Every inch of Nico’s growth was due to breastmilk. It is kind of a crazy concept! By the end of Nico’s second week, he gained two full pounds! He was ‘filling in’ by the day. I thought he smelled like butter, and funny enough, I craved grass fed butter postpartum like crazy! I will talk more about my diet while breastfeeding in another post ;). Personally, there were lots of changes in my body as well when I started breast-feeding. To my surprise, my arms were sore for weeks after having Nico. I had always considered myself to have somewhat strong arms. I mean, after all I am a baker. I did not expect that holding him and nursing him would take a toll on my thumbs of all things! Yes, my thumbs. You see, your thumbs bare the brunt of most of the mommy work…. holding baby’s head while nursing, picking him up out of his crib, pushing the stroller, and this list goes on! Thankfully, I worked with Alison Oswald for most of my postpartum physical therapy, and she helped me with my thumb also. It is actually called mommy thumb. The thumb tends to get overworked from just being a mom. Picking up your baby, pushing the stroller, changing diapers… it’s a lot of and work. As a baker, I use my hands every day as well, so there was already significant wear and tear. Allison taped my thumbs to encourage more circulation, and instantly they felt relief. She also encouraged my to use the ‘thumbs forward’ approach to picking up Nico, pushing the stroller and holding the steering wheel. I can honestly say these techniques, coupled with the taping helped immensely! Yes, breastfeeding takes lots of time. But it is precious time. Breastfeeding also takes a ton of commitment. Often plans and outings are determined by the last time the baby ate or what time the baby will wake up. While breastfeeding is very portable and easy to do almost anywhere, it is not always the right environment, like a fancy restaurant for example. Baby either needs to get fed before or after, and trust me, this timing is a tough one. I’ve learned the hard way many times, but it gets better week by week. 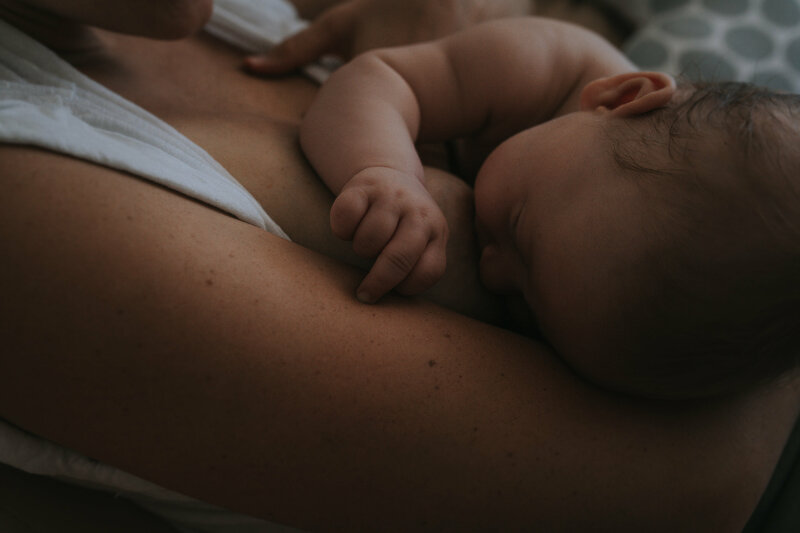 Another thing that has been lovely about breastfeeding is that it is a time dedicated to sitting and just feeding your baby. Nothing else. In this fast paced life, times of rest like this are hard to come by. I so enjoy laying on my bed while Nico feeds, it’s nice to take a break! Sometimes I do text and email while breastfeeding, but when I don’t, the reflective time is great. It is time you can just be with your baby and rest. It is much needed rest indeed, and I fully enjoy it. I’m so grateful for this gift I’ve been given, and that I am able to feed my baby. 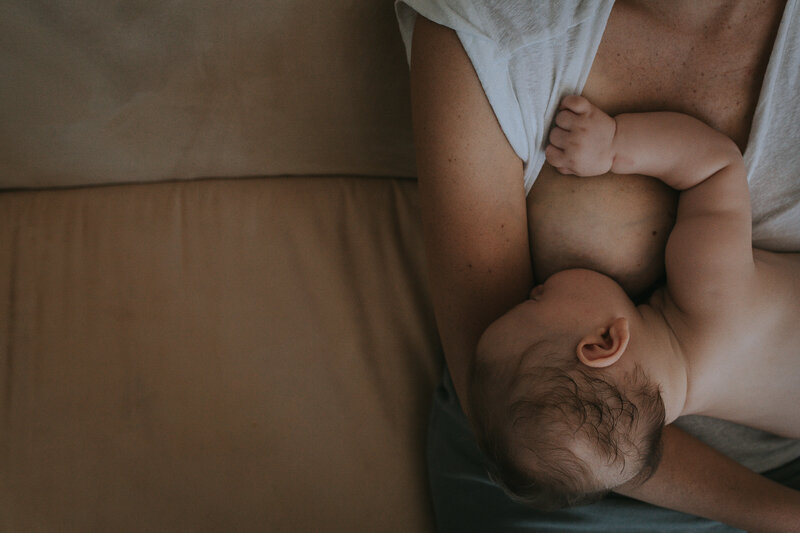 When I was pregnant, I was concerned my autoimmune disease would get in the way of my ability to breastfeed, and this positive experience breastfeeding has truly been a great gift. 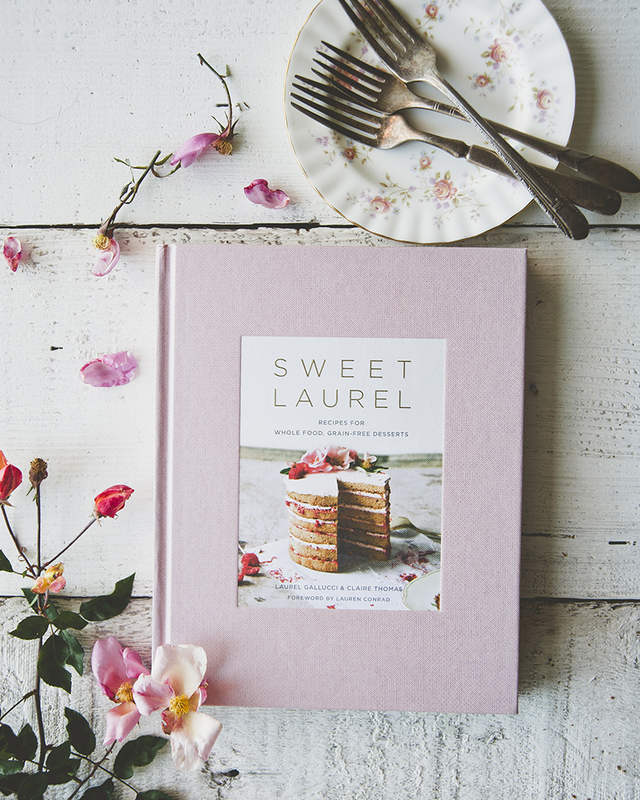 This entry was posted in baby, baking, beauty, breastfeeding, Uncategorized and tagged bab, family, home, lifestyle, sweet laurel on August 7, 2017 by sweetlaurel.